Has Civil War Begun In America? Trump Tells America Clinton And Obama Created ISIS, It's Surely The Season Of Treason - Why Are Obama And Clinton Still Walking The Streets? The lead story on the Drudge Report and almost everywhere else across the entire media is the takeover of the US Federal Building by Ammon Bundy and a gang of US Patriots and Militia members who have vowed they intend to spend years there. 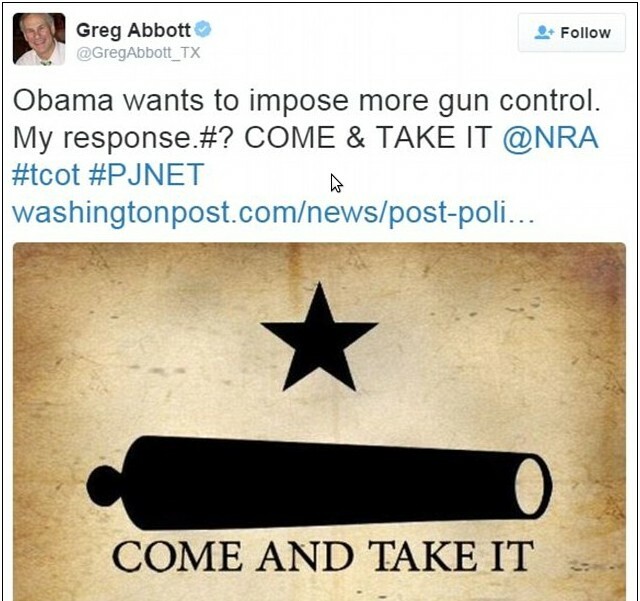 While we're quite sure this latest episode will be used in an attempt to further demonize Christians and supporters of the US Constitution, we have to wonder why the absolutely criminal and complicit mainstream media isn't pushing with the same zeal the recent warning by Texas governor Greg Abbott who had a strong message for President Obama on New Years Day: "Come and take it!" We have certainly reached a total quagmire in America, haven't we? With US Patriots (many who have likely had their names added to the terror watchlist) opposing a federal government that even Donald Trump now has stated created ISIS (therefore aligning government with pure evil and unadulterated terror), haven't we reached the point in time when those assisting the terrorists (and living in Washington DC) are arrested for treason against America? Shouldn't those who are assisting in the growth and development of the terrorist organization who want to kill us and launch armageddon upon the world be held accountable for their actions? Why hasn't the US Military or law enforcement gotten involved in this and arrested the treasonists and terrorist supporters in Washington DC who created ISIS before any more Americans are killed? Surely they, too, are aware of what is going on. We can hear Trump speaking in the 2nd video below where he dropped this bombshell. Should ANY American support a US government, or ANY government for that matter, that created the ISIS terrorists? 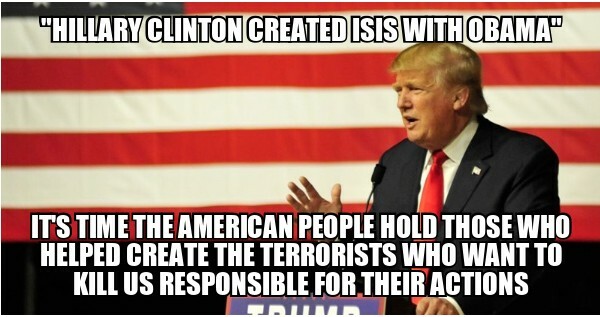 Should ANY American VOTE for Hillary Clinton, who helped to create the same ISIS terrorists who want to slaughter Americans in HUGE numbers? Why haven't Hillary Clinton and Barack Obama been charged with treason for putting Americans in grave danger? 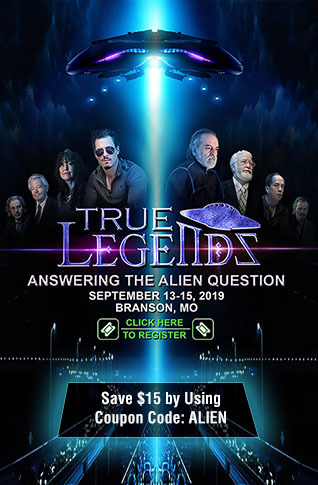 Like the 1st several salvos of World War 3 which have been economic and false flag in nature, did anyone really expect that the 1st rounds of Civil War in America would be fought with guns or tanks? Of course in this day and age, any US militia members in Oregon right now have likely had their names added to the terrorist watchlist and, judging by what happened in Waco, Texas, there's a very real chance that everybody involved in Hammond's Ranch right now may not make it home alive. We pray for the safety of everybody involved there and hope that someone doesn't go and do something stupid. However, this has all gone on to the next level now... with warnings coming from Texas Governor Abbott and a number of police chiefs and sheriffs across the nation to Obama over his threats of gun confiscation starting a civil war and now even the leading Republican presidential candidate calling out the terrorist supporters and creators Obama and Clinton by name. It feels like we've reached a put up or shut up moment in America and that something awfully bad is going to happen if those who are largely responsible for the attempted overthrow of this nation are not held accountable for their actions. If law enforcement and the US military aren't going to hold Obama and Clinton responsible for treason and the aiding and arming of our terrorist enemies, enemies who want to kill us, who will? Truly, only the American people are left and that leads us back to Hammonds ranch in Oregon. Surely we've reached a point when something has got to give. 2016 will be a very interesting year that, if we make it to November with our liberty and our humanity intact, could finally see an America great again with the election of someone who clearly sees what's going on. The fact that our President and former Secretary of State have committed treason against Americans and largely screwed over the American people, aiding and abetting the same ISIS terrorists who want to kill us, should be enough to ensure 2016 is the political end for both of them. There's a very good chance those in power won't allow that to happen and will attempt to fully crack down upon the American people prior to November of 2016. It's truly up to the fine men and women in law enforcement and in the US military to make sure that 'crackdown' upon the American people doesn't happen and the 'crackdown' happens upon those who created and are responsible for all of this mess in the 1st place. While the names on the list are numerous, they begin with Hillary Clinton and Barack Obama. Should justice fail to be upheld, we have no doubt that all of this will lead to something horrible in America. We should all pray that it never gets to that point for if it does, we could quite easily see Deagel.com's prediction of 240+ million less people living in America come true by 2025. In the 1st video below, Ammon Bundy calls for US Patriots to come to Oregon and says it's time to stand up, not stand down. In the 2nd video we hear Donald Trump's proclamation that 'terrorists' Clinton and Obama helped to create ISIS while in the 3rd video, we hear directly from Gary Franchi of the Next News Network about the unfolding situation in Oregon.